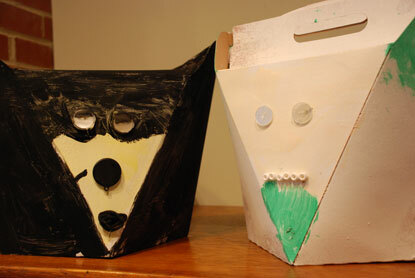 It’s down to the wire… last minute valentine box creation is underway. 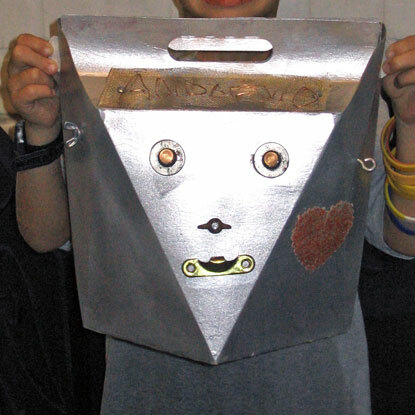 We thought we were done — and then we took a cruise through the hallways at school, and we were inspired to take our valentine boxes up to a new level. My little guy fell in love with a pink “rocket” valentine box that was covered in pink and red hearts. 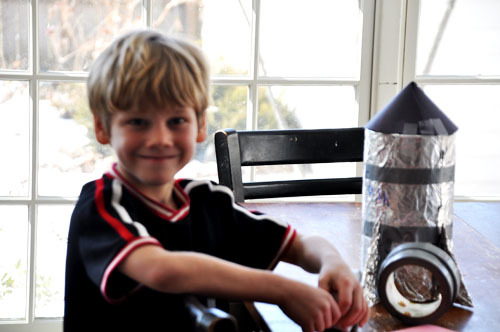 Using the trusty aluminum foil, we decided to make a shinny rocket to store his valentines. 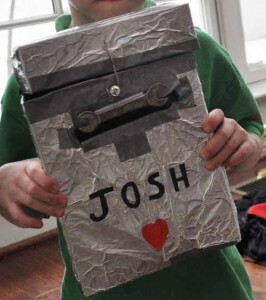 The great thing about this Valentine box, is that its creation can be done by the child all by himself. 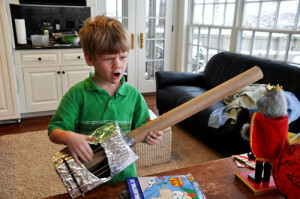 Little boys find tape irresitible, so even though I was able to fold the alumimum foil around to create a tight grip, he insisted that we “tape on a few parts.” Nice that he choose “duct tape” as his method of choice. 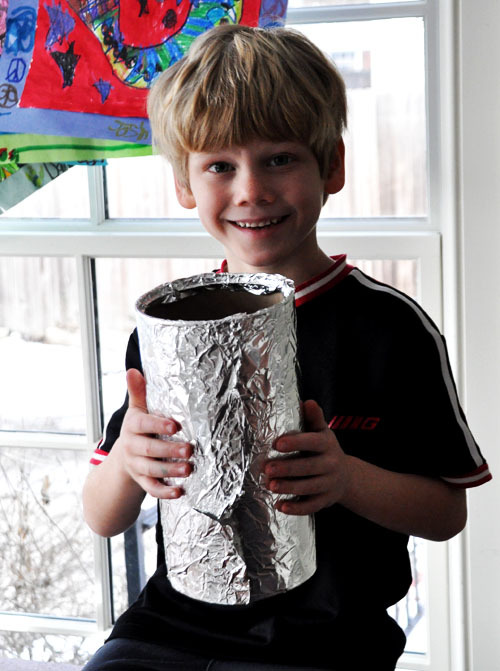 Wrap your empty oatmeal tube in aluminum foil, tucking in the ends to create a snug fit around the cylinder. 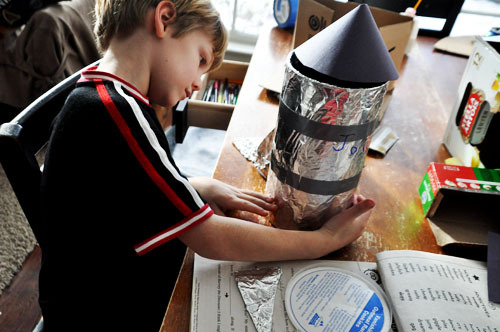 Cut a circle out of construction paper, and fold it to make a “cone” for the top of your rocket. 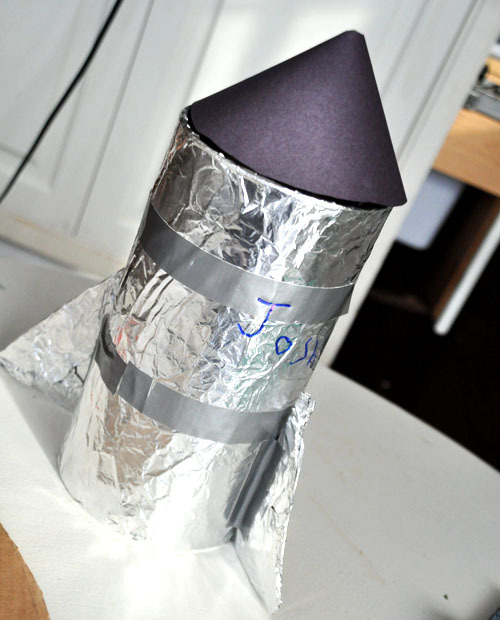 We taped the cone onto the rocket on one side, so that you can lift the “lid” to insert the valentines. 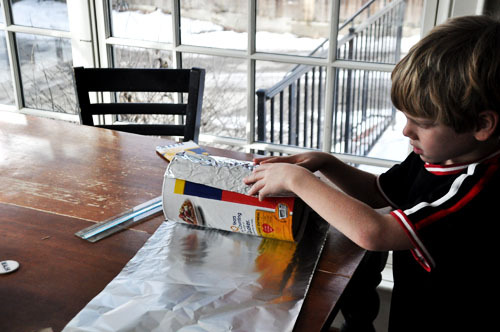 Cut three 90 degree triangles out of cardboard, and wrap each one in aluminum foil. 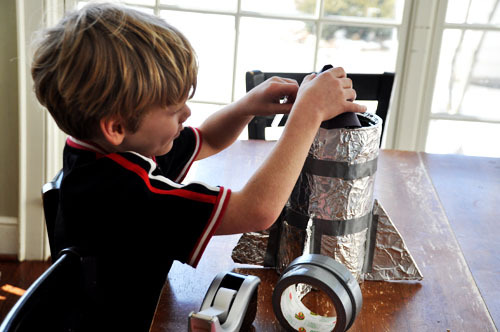 Tape “wings” onto cylinder with duct tape. Embellish — let your little one take the lead. 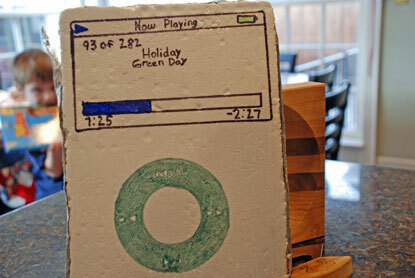 To recap: Here’s a list, with links, to our Valentine Boxes. 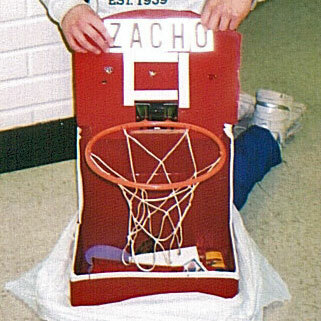 That is pretty neat duct taping for a little kid. Way to go Josh! !